One of the young boys saw a bush and went over to it and the other boy couldn't figure out why his friend was at the bush so long. 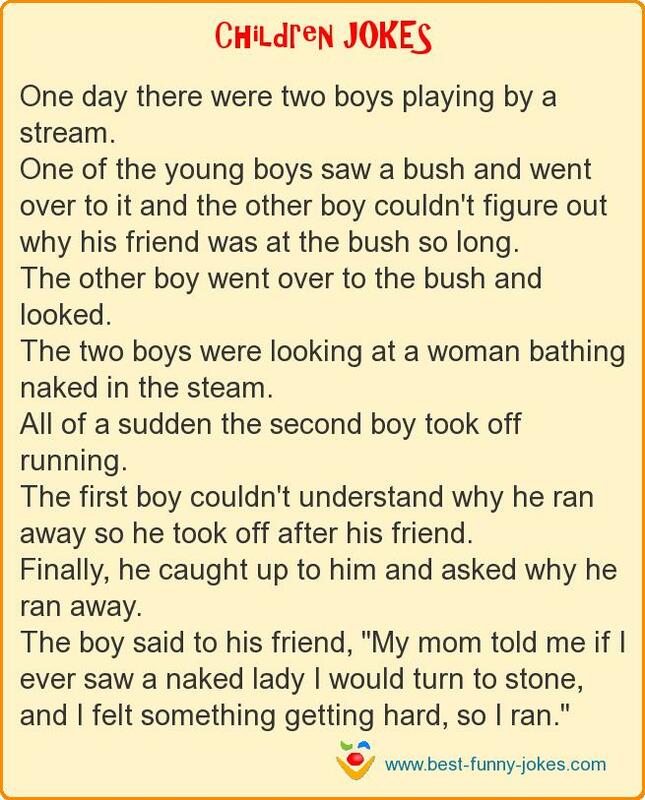 The two boys were looking at a woman bathing naked in the steam. The first boy couldn't understand why he ran away so he took off after his friend. Finally, he caught up to him and asked why he ran away.